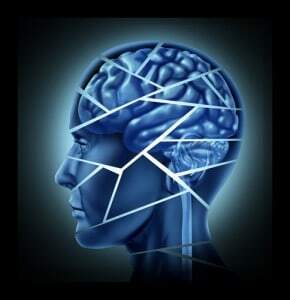 A traumatic brain injury (TBI) – is caused by a simple hit or blow to the head, or a penetrating head injury that disrupts the brain’s normal function and damages it. Sometimes, damage to the brain occurs because of a brain tumor. The existence and severity of the tumor should be evaluated by a physician. Many people injured in car accidents can suffer from traumatic brain injury without it being immediately noticeable. This is because you don’t have to be traveling fast to suffer a head injury, nor do you have to hit your head on something like the steering wheel or windshield. Even at moderate rates of speed, traumatic brain injuries can occur. What’s worse is that you may not even know that you have a traumatic brain injury until well after the accident has occurred. People who suffer from traumatic brain injury need aggressive legal representation if a social security disability case is going to be pursued. Brain injury litigation is very complex and unique. It requires lawyers that are experienced and familiar with the medical and legal issues involved.